We’re delighted that you want to become a member of PAN and support our regional network. Your membership dues go toward supporting the mission and values of PAN. 10% discount to PAN-sponsored events. Free access to PAN-produced webinars. A member badge for your website that shows your support for PAN. Opportunity for Fiscal Sponsorship so you can apply for grant funding for your permaculture project without being a 501c3. 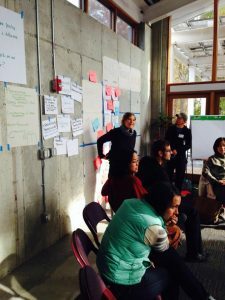 Opportunity to participate in the nation’s first network-derived Permaculture Teachers Best Practices Pledge. Opportunity to contribute articles and content for PAN’s quarterly e-newsletter that is circulated to every PAN member. Opportunity to be featured in PAN’s e-newsletter as part of our Member Spotlight column. Free access to all of PAN’s resources including the regional teachers’ database, PDC course listing, jobs and internships listing, three regional listservs, our newsletter, and Facebook page and group. Annual thank you gift that celebrates the spirit of Permaculture. A voice and opportunity to provide feedback in how PAN projects and initiatives evolve to best serve the community. Eligible to be nominated for a PAN Board position. Eligible to make nominations for PAN Board position. Opportunity to advertise and promote your business through business sponsorship of PAN activities. Connection to the larger continental and global movement through the PAN hub. The gratification in knowing that you are supporting the mission and work of PAN. Since we give away most of what we produce for free, we hope that you enjoy the warm & fuzzy feelings from that. Gathering and distributing: open sourced permaculture curriculum and standards of quality in permaculture education. The process of becoming a member is easy – simply fill out this brief form and make your payment via PayPal or mail us a check or money order.